FOLLOW Matt on Twitter @mtaibbi. Find his articles at Rolling Stone and find his book writing subscription at taibbi.substack.com. Around the Empire is listener supported, independent media. Pitch in at Patreon: patreon.com/aroundtheempire or paypal.me/aroundtheempirepod. Find all links at aroundtheempire.com. Recorded on March 27, 2019. Music by Fluorescent Grey. It’s official: Russiagate is this generation’s WMD: The Iraq war faceplant damaged the reputation of the press. 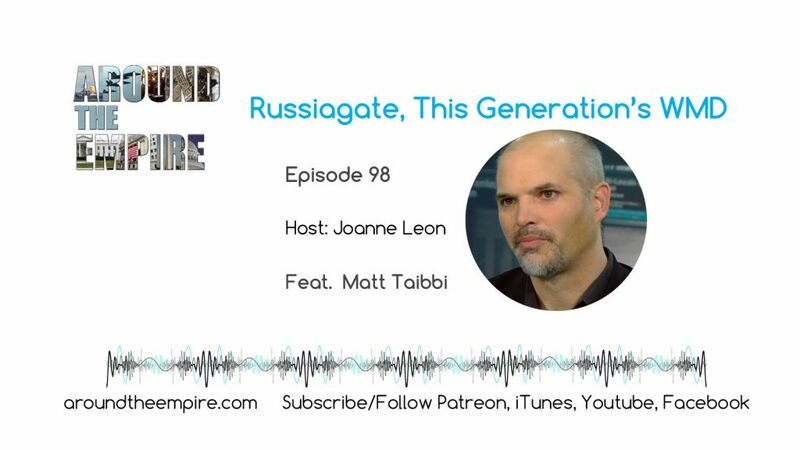 Russiagate just destroyed it, Matt Taibbi, Hate, Inc.